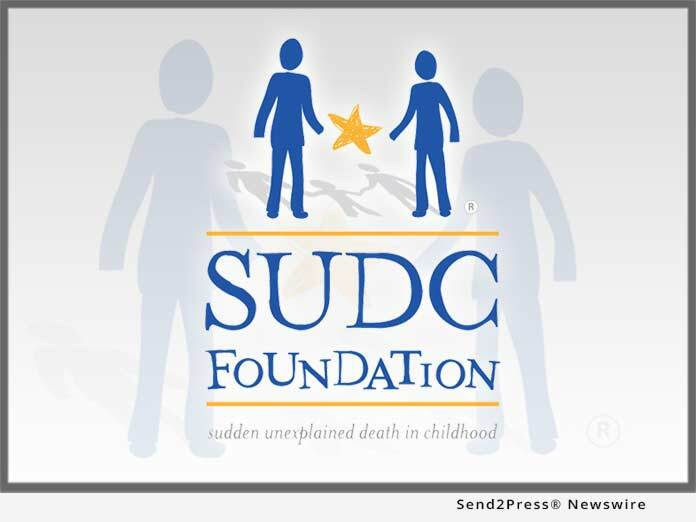 CEDAR GROVE, N.J., Mar 01, 2018 (SEND2PRESS NEWSWIRE) — The Sudden Unexplained Death in Childhood (SUDC) Foundation is pleased to announce the launch of its affiliate in the United Kingdom, SUDC UK. The SUDC Foundation, which is based in the United States, serves over 800 families in 18 countries who have experienced the unique challenges and unanswered questions that follow a sudden, unexpected and unexplained loss of a child. SUDC UK will build upon the SUDC Foundation’s efforts in the U.K. to increase awareness of SUDC and raise funds for expanded research initiatives on one of the most under-recognized medical tragedies of our time. SUDC UK will enhance the SUDC Foundation’s efforts to support the needs of the SUDC community in the United Kingdom. While the SUDC Foundation will continue to provide bereavement support to SUDC families in the U.K., SUDC UK will spearhead a national public awareness campaign to raise awareness of SUDC in the U.K. as well as raise funds for expanded SUDC research initiatives. Through prior efforts, leadership of SUDC UK have raised over $228,000 (£184,500) in funding to support SUDC and bereaved families.